Dr. Cruz is really smart and knows what he’s talking about but seriously the guy looks like he stubbed his toe on the way in the door before every class. Why so mad, Dr. C? Also one time I went to his office hours and I thought he was going to murder me. I took Dr. Cruz’s intro to soc class and I don’t think it was that hard. You do have to come to class but why are you in college if you’re not here to go to class? Dr. Cruz is obviously passionate about his subject matter and knows a lot, and really wants people to understand the concepts. I’d like to take a higher level class with him because I bet when he gets to talk about stuff that isn’t just intro material and to a bunch of stupid jocks who “thinks he’s evil” or whatever, I bet he’s a wonderful teacher. He did look mad a lot though but I would too if I had to teach these idiots all day. Stay strong, Professor Cruz. I don’t know why people think this is such a hard class, because if you show up, do the work and LISTEN then it really isn’t. I love the perspective Dr. Cruz brought to the concepts because of his own experiences and how he’s not afraid to share them. Also to the girl who wants extra credit, you probably got a B because you missed too many classes – if not, you’d know he was gay. 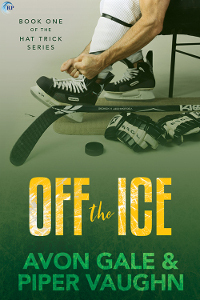 Thanks for joining Avon Gale and Piper Vaughn on the OFF THE ICE blog tour. In the Hat Trick series, love and hockey collide—and create enough heat to melt the ice. Join the players as they chase both the Stanley Cup and their own personal happily ever afters. To celebrate the release of Off the Ice, one lucky winner will receive a Venom t-shirt in their size and Venom notebook! Leave a comment with your contact info to enter the contest. Entries close at midnight, Eastern time, on November 4, 2017. Thanks for following the tour, and don’t forget to leave your contact info! I loved the rate my professor blog post. 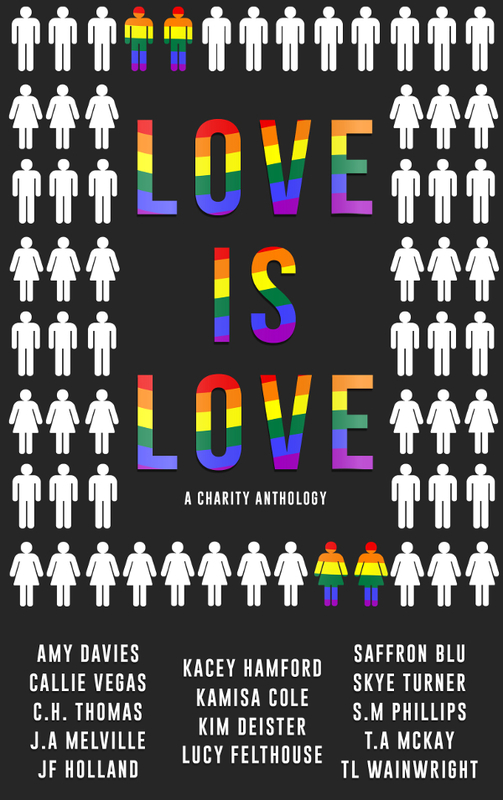 I can’t wait to get this book. Loved the early download. And how realistic is the “Rate My Professor” logs. It happens when I’m looking for a professor and I have to see what other students thought of him. Very important. Lol. Sebastian gave me some emotional rep that I needed as Puerto Rican and Tristan just made me fall even more in love with Hockey (which I said I would start watching, but…Now I will). Honestly, I think Tristan is a puppy. By the way, what can we say about Bellzie? I looooove this particular side character. He makes me cry, I want to hug him, please. And my info, b/c obvously I’d forget when I start to get emotional about this book and my love for Bellzie. This is so great omg, I love how realistic these “Rate My Professor” logs are! When I was in school, we were just discovering email and computers. Ratings were passed around by word-of-mouth and not online reviews. Haha this is awesome! I loved this book, I’d totally take sociology more seriously if Cruz was my professor! Love the rate the prof logs, so funny!